Executive Secretary of National Universities Commission ( NUC ), Prof. Adamu Abubakar Abdulrasheed on Monday said that reports showing ratings of universities in Nigeria by NUC are fake. Abdulrasheed said that NUC had not conducted no such exercise for many years now .The NUC boss stated this while fielding questions from journalists after 2018 budget defence session with the senate committee on Tertiary Education and TETFUND . He said that NUC has just constituted a high powered committee headed by the erstwhile Executive Secretary, Professor Peter Okebukola to advise the Commission on the ranking of Nigeria universities. He noted that a group of people would use social media to publish fake ‘ranking of Nigerian Universities. “NUC has not ranked any University for several years. The Committee will advise us on ranking of Universities because we have not done that for several years”, he explained . He added that the NUC has drafted a document that will reduce academic period for PhDs to a minimum of three years. He also disclosed that Universities in Nigeria were being positioned to ensure that PhD holders would be retained after graduation, saying, other African Universities have expressed their readiness to cooperate with Nigeria. » Western Delta University Granted Full Accreditation By NUC. 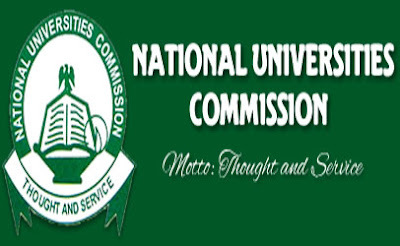 » NUC Accreditation Report And List Of Unaccredited Courses In Nigerian Varsities 2016.